The VX 520 is a reliable, rugged countertop device that’s built to last. It handles encryption, decryption and processing at lightning speeds thanks to its powerful processor and expandable memory. Integrated NFC capabilities support alternative payments and also supports value-added applications such as loyalty or gift card acceptance. Designed for easy use and includes a backlit screen and keypad for all lighting situations. Delivers performance, reliability and long-lasting functionality. 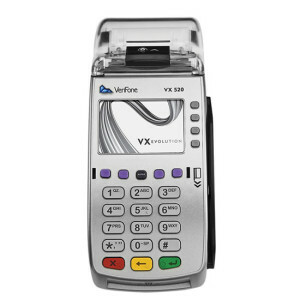 Verifone’s VX 805 Contactless PIN pad provides precisely what you need, and nothing you don’t. 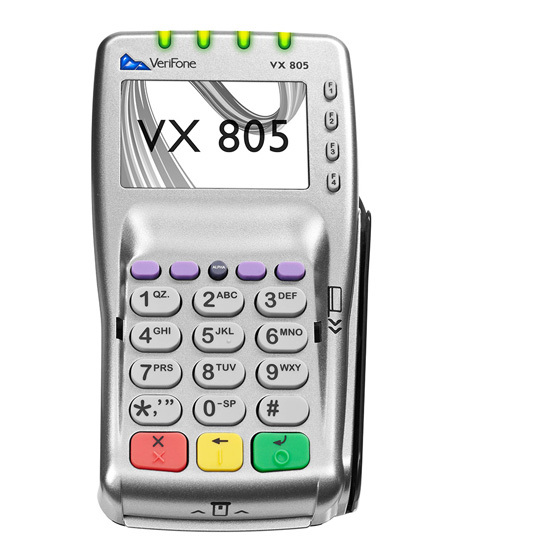 This incredibly convenient payment device allows merchants to process a range of transactions through multiple connectivity options, while offering the latest NFC technology for mobile payments. And, of course, it includes the latest security protections for total peace of mind. Electrify Your Business – Receive Your FREE Rate Quote Today!